Log homes look gorgeous. 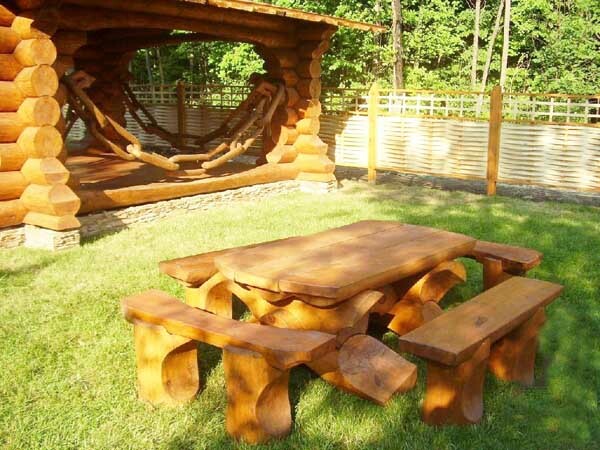 Many people like log homes and gazebos, made of tree logs yard decorations and garden path borders, fences and dog houses. Tree logs and twigs are unique natural materials that give lots of opportunities to show your creativity and make beautiful furniture, home decor accents and yard decorations. 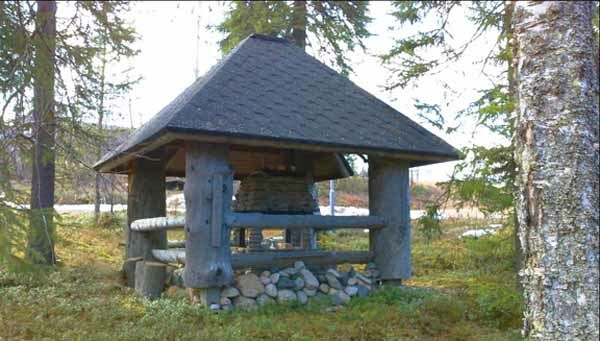 Luxurious log homes and small cottages or saunas, constructed with logs are popular building trend that create solid and charming, beautiful and modern homes with attractive landscaping around. 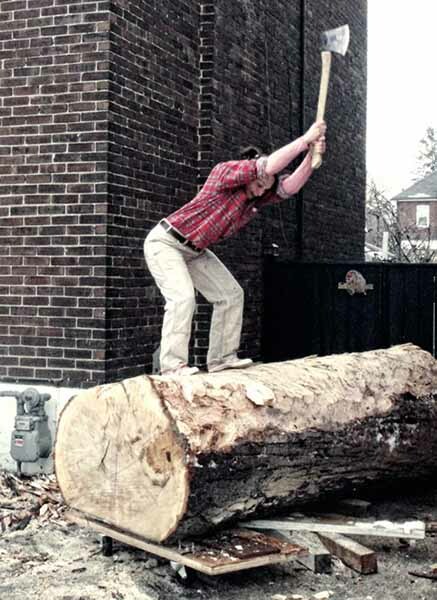 Tree logs are great for decorating backyards, gardens and porches in natural style. 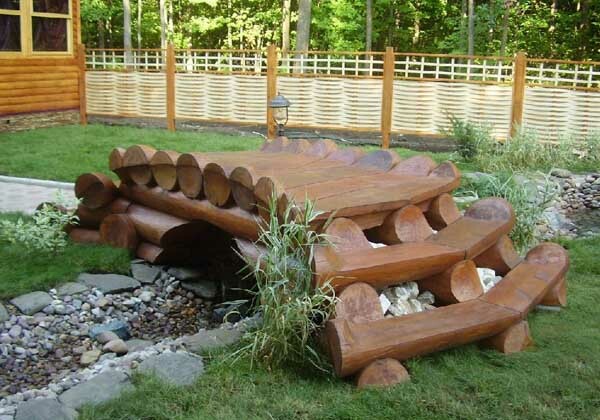 Tree logs give attractive look and eco feel to house designs and backyard decorating. Home and yard decorations made of tree logs are eco friendly products that celebrate the connection with nature and support green living ideas. 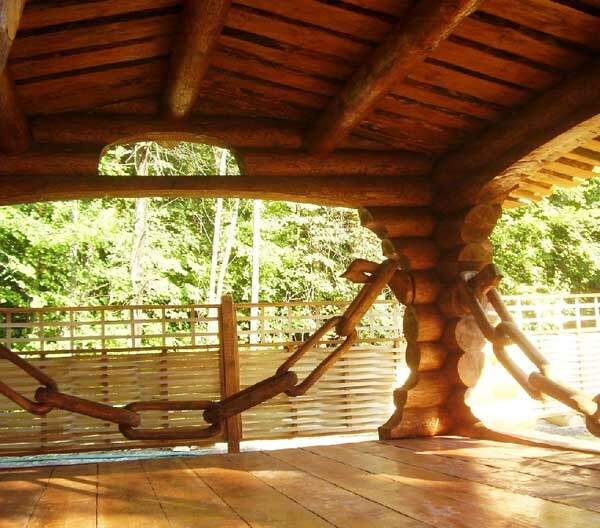 Log homes and yard decorations made of tree logs or twigs look wonderful for years. The only thing your have to do is protecting the wood from the elements and fire. Tree logs and twigs bring organic shape, beautiful texture into exterior and interior design, adding neutral colors and warmth to home decorating ideas. There are lots of various things you can make of tree logs and twigs, giving a personal touch to your home interiors and backyard ideas. Artful and cheap decorations for homes and gazebos, yard decorations and garden path borders, fences and dog houses, unusual containers for plants and flowers, picnic ables and chairs, garden benches and lighting fixtures, made with tree logs and twigs can adorn your home exterior and interior decor and beautiful gardens and backyard ideas. 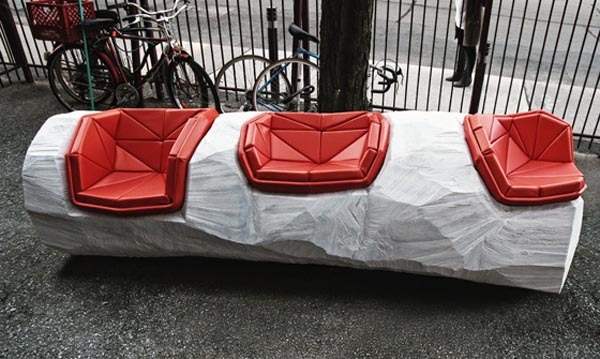 Get inspired by this amazing Log Chop Bench, designed by David Long and Antoine Morris, and create a similar or better unconventional furniture design. 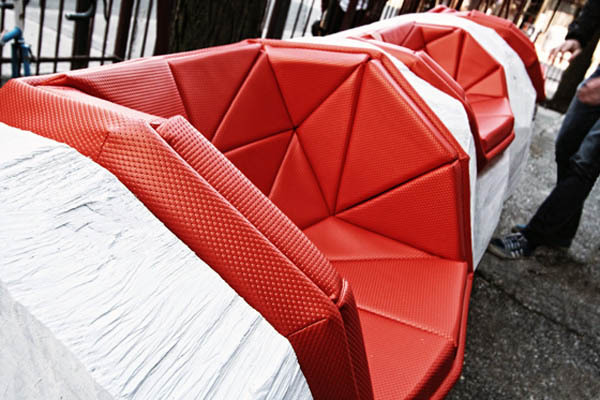 Designers David Long and Antoine Morris avoided blueprints and lent their ax, log, and minimal sketches to a professional lumberjack who carved out seat spaces with amazing precision. The rough hollows were then clad in fine, hand-sewn upholstery fabric by a motorcycle saddle maker.